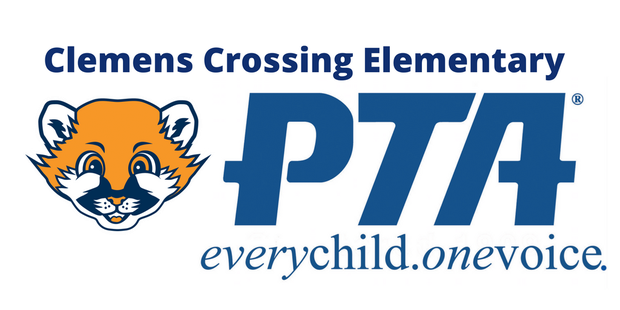 For a complete list of dates and events or to subscribe to the CCES calendar visit cces.hcpss.org/calendar. 11 - Holiday Shoppe, 4:30 p.m.
20 - In-School Banking, 9:00 a.m.
10 - PTA Meeting, 7:00 p.m.
17 - Family Fit Night, 6:00 p.m.
25 - Winter Concert - Strings, 6:30 p.m. & Band, 7:30 p.m.
26 - Early Dismissal, 12:45 p.m.
31 - In School Banking, 9:00 a.m. 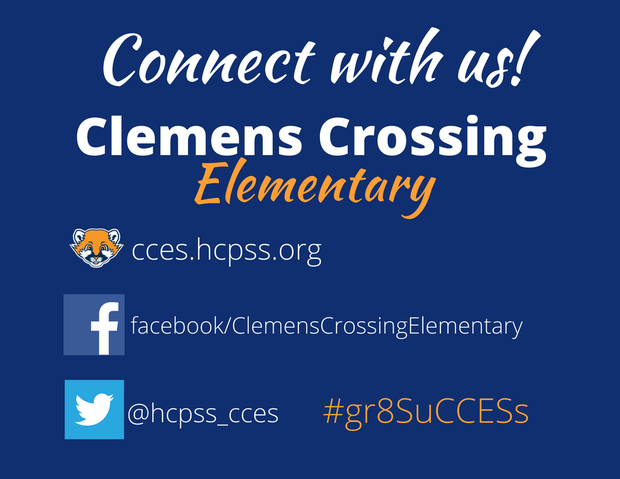 I wanted to share with parents and families how many amazing things I see the Clemens Crossing Staff do with students on a daily basis that, along with your partnership, helps students grow into thriving young people both academically and socially. The work is not always easy, and as our world evolves and becomes more complicated at times, so does teaching and parenting. As I closely watch the work and commitment of the Clemens Crossing Elementary School staff, I can’t help but also extend my gratitude to parents and families in the Clemens Crossing Elementary School Community. The amount of support we receive is always unparalleled in regards to time, financial support, commitment and dedication to providing students with the best education possible. As I looked over the list of 25 reasons to give thanks to teachers, I also saw where many of those reasons would be applicable to parents as well. With the holiday season upon us, I wanted to be sure to take the opportunity to publicly thank ALL of the Clemens Crossing Elementary School staff for their work in creating an environment for students to thrive and grow, and at the same time, I wanted to be sure to thank all of our families for their continued support and dedication to our partnership together on behalf of our students. I’m truly grateful to work in such a dynamic school community! 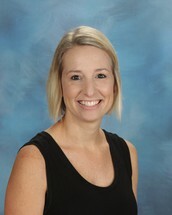 Mrs. Ludicke's fifteenth year teaching and all fifteen years have been here at CCES. Mrs. Ludicke earned her Bachelor's Degree in Elementary Education from Towson University and her Master's Degree in Administration and Supervision from McDaniel College. She knew, at an early age, that she wanted to be a teacher. She worked at a local daycare while she was in college. That experience confirmed her desire and interest in children and teaching. Mrs. Ludicke lives in Howard County with her husband and two children Jay (age 7) and Brooke (age 4). In her spare time, she enjoys spending time with her family, reading, and visiting new places. Mrs. Ludicke is proud to be part of such an amazing school community. She shares how rewarding it has been to be part of the community for so long. Our Language Arts focus will be on writing book reviews and sharing our opinion about books we have read together in class. We will be identifying sight words, practicing phonemic awareness and applying print concepts during guided reading instruction. In Math, we are building concepts of number and practicing identifying and writing number 0-20. We will continue to practice counting objects in a scattered formation and in a straight line to 20. We will describe attributes such as length and weight, classify objects into categories and compare sets of objects up to 10 using vocabulary, greater, less, or equal. In our Social Studies unit, It's a Busy World, students will be introduced to economics and how it is used in their world. Students will be exposed to goods, human and natural resources, and will learn how technology affects the way people live, work and play. We will create a grocery store in our classroom and practice buying and selling goods. Our Science unit explores weather. We will investigate types of weather (typical and severe) and notice how types of weather impact choices about what to wear and activities we choose to do. We will also identify how the sun’s light affects the Earth, analyze weather data, observe and record weather, and use the Engineering Design Process to develop a structure to protect people from the sun. Our focus in Health will be on safety, first aid and injury prevention. 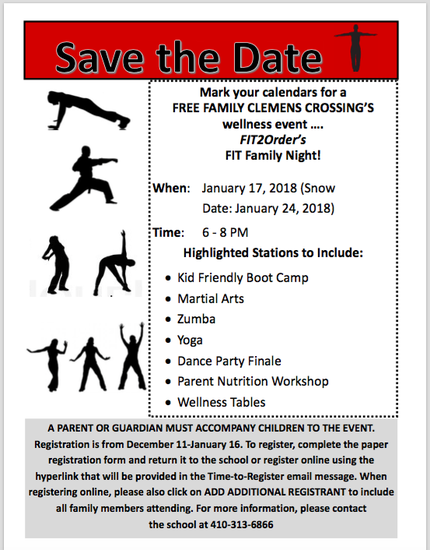 Students will demonstrate the ability to apply prevention and intervention knowledge, skills, and processes to promote safe living in the home, school, and community. Have you heard of ReadyRosie? Schools and families work better together when families understand exactly how they can support their child! ReadyRosie Modeled Moment Videos take place in real environments such as restaurants, grocery stores, and playgrounds to demonstrate how to find learning moments in everyday activities. In Language Arts, students will continue to work in guided reading groups and on Daily 5 Literacy Activities. Students will work on mastering word family patterns, decoding and comprehension strategies, and fluency. Students will explore story elements, and learn to identify text features and their purpose. Students will continue writing in response to reading and be introduced to writing opinion pieces. In Math, students will explore the meaning of the equal sign to determine whether equations are true or false. Students will continue to work on fact fluency utilizing the commutative property of addition and by mastering ways to make ten. Students will work to solve more complex story problems, and master geometric elements of 2-D and 3-D figures. In Social Studies, students will learn map elements and explore the world’s continents and oceans. First graders will learn about world cultures and be able to compare cultures by discovering similarities and differences between them. During second quarter in Science, students will study patterns in space, specifically looking at patterns within cycles. Students will study and gather evidence to learn about the day/night cycle, the sun, stars, and the moon. Students will focus on the Scientific and Engineering Practices to help them investigate and research age-appropriate space science information. In Writing, students will write opinion pieces in which they introduce the topic or book they are writing about, state an opinion, supply reasons that support the opinion, use linking words (because, and, also) to connect opinion, reasons, and provide a concluding statement or section. They will also write informative/explanatory texts in which they introduce a topic, use facts and definitions to develop points, and provide a concluding statement or section. During Reading, students will know and apply grade-level phonics and word analysis skills in decoding words, read with sufficient accuracy and fluency to support comprehension. Students will be introduced to the nonfiction genre and respond to reading orally and in written form. In Health, students will demonstrate the ability to use drug knowledge, decision-making skills, and health-enhancing strategies to address the non-use, use, and abuse of medications, alcohol, tobacco, and other drugs. In Science, students will cooperatively and independently manipulate two and three-dimensional models of Earth to make observations of and ask questions about patterns in Earth's features. Students will obtain information through research about the land and water features of Earth. This information will be communicated through cooperative presentations and independently generated non-fiction picture books. In Math, students will continue to do a variety of activities including number routines, fact fluency, and solving one- and two-step word problems. Grade 2 Math will also be focusing on telling time to the quarter hour and counting coins. Grade 3 Math will also be focusing on fractions and telling time to the nearest minute. Throughout our Health unit in second quarter, students will identify safe practices for prescription and over-the-counter medicines. They will be able to describe the affects of tobacco use and non-use, including secondhand smoke, on the body. We will also learn to recognize that tobacco products contain nicotine. In addition to our studies, we will demonstrate a personal commitment not to use tobacco and develop a plan to resist peer pressure. Our focus this quarter is on forces and interactions. Students will learn the components of a well-designed investigation. In their experiments, they will learn that every force has both a strength and a direction. They will examine patterns of an object’s motion that can be observed and determine the future motion that is predicted from it. Hands-on experiments will demonstrate that objects in contact exert forces on one another. Finally, they will learn that electrical and magnetic forces between objects do not require that the objects be in contact. Our unit this quarter is Mapping Our World. In this unit, we will be studying different types of maps. We will be studying and comparing the geography and cultures of regions throughout the world. We learn about immigration and the reasons people immigrate. During our Language Arts unit, we will be focusing on reading and writing realistic fiction. Throughout Reading, students will ask and answer questions to demonstrate an understanding of a text, referring explicitly to the text as the basis for the answers. We will analyze and describe characters in a story including their traits, motivations or feelings, and explain how their actions contribute to the sequence of events. Distinguish their own point of view from that of the narrator or those of the characters. We will examine the author's use of dialogue to develop the characters and their interactions with others. During the second half of the unit, we will shift our focus to the study of Biographies. We will learn that a biography is a factual retelling of a person’s life. This person may have lived long ago, in modern times, or may still be alive. The biography could cover the person’s entire life or specific major events in their life. Students will read biographies to learn about historical figures to learn about the person’s birthdate, place of birth, the person’s family, childhood, and important events that shaped their lives. We will identify traits to describe the person's personality and character. Futhermore, they will identify the person's impact on their world. Students will utilize this research on their historical figure to write a story that depicts their life. Students will continue to develop math fact fluency by learning efficient math strategies for 0, 1, 3 and 10. They will continue to develop their problem skills for all operations. They will build their knowledge by incorporating the Commutative, Associative and Distributive Properties to solve problems including unknown numbers in an equation. Students will begin laying the groundwork for fractions. They will represent fractions as sets, parts of a whole, or a unit on the number line. Students will generate equivalent fractions. In our Measurement and Data unit students will focus on reading and writing time to the nearest minute. In second quarter, students will be solving multi-step word problems with each concept. They will also find factor pairs and multiply and divide multi-digit numbers with remainders. Furthermore, students will compare, decompose, add and subtract fractions with like denominators and mixed numbers. Students will also compare and write decimal notations for fractions to the hundredths place. In addition, 4th Grade will focus on Poetry, Opinion and Diary Entry Writing. Five-line poem that is intended to be humorous. Lines one, two, and five have seven to ten syllables and rhyme with one another. Lines three and four have five to seven syllables and also rhyme. Main object of free verse poetry is to use colorful words, punctuation, and word placement to convey meaning. Continue the Safety, First Aid & Injury prevention unit. "Common Good". They will conduct research (with help from Mrs. Marshall and the 5th grade team). Math – This varies by instructional level. Please check with your child’s math teacher for the current instructional unit. Science - Second quarter is focused on the patterns that develop in our solar system. We'll discuss celestial bodies including meteors, asteroids, and comets. Also, we'll discuss revolution vs. rotation and it's effects on calendar cycles and tides, among other things. Social Studies - This quarter we dive into civics in preparation for SCH in the spring. Now that the colonists have won the Revolutionary War, how do they go about creating a government that is different from the monarchy they escaped as British colonies? We'll spend time looking at major political philosophies by John Locke and Thomas Hobbes as well as study the Founders' first attempt at a Constitution, the Articles of Confederation, and ultimately, why they failed. Lastly, we'll look at the Constitution, Bill of Rights, and Federalism. Health - For the second quarter, we'll spend time looking at how to be safe in and around the house. This includes talking about potential hazards like electricity, dangerous chemicals, and sharp objects. Also, we'll cover our mini unit on child abuse. 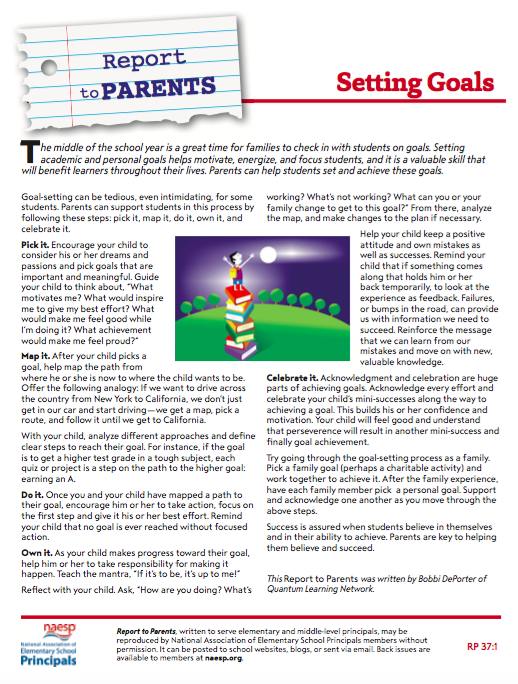 The middle of the school year is a great time for families to check in with students on goals. 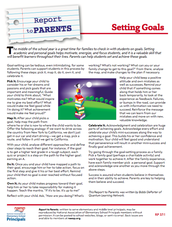 Setting academic and personal goals help motivate, energize, and focus students. It is a valuable skill that will benefit learners throughout their lives. Parents can help students set and achieve these goals. 1. Please have a voice mail box in place that can receive messages. If need be, please clear the messages currently in your mailbox so that your mailbox can receive new messages. 2. Please take a moment and update any emergency numbers that may need to be updated. Thank you! Are you missing a jacket or sweatshirt? There is a very good chance your child's missing clothing is in our Lost & Found. The Lost & Found is located in the front hallway across from the music room. Please be sure to check the Lost & Found soon. We will donate all items to a local charity on December 22. Exercise outdoors is healthy and is strongly encouraged. It provides a break from the regular school routine, a chance to get some outside air, and an opportunity to run off excess energy. If conditions preclude the full Recess time, even a five-minute break can revitalize children and prepare them for more sitting and academic learning. Children are expected to wear warm clothing to protect them during cold weather when participating in Recess or outside activities. Generally, it is assumed that students will be outside for recess when the temperature combined with the wind chill is not less than 20 degrees Fahrenheit. Children with certain health conditions may need special accommodations during extremely cold weather. Parents of those children should provide medical documentation and may be consulted to determine if other arrangements are necessary. Periodically, we will celebrate School Spirit Days. 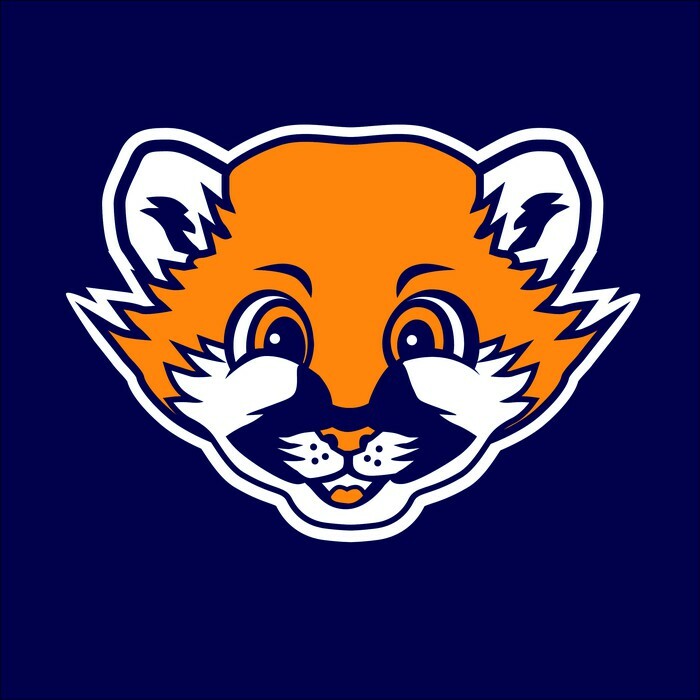 The purpose of School Spirit Days is to get kids enthused, supportive, and excited about their school community. In order to maximize full participation, we want to help you plan ahead for School Spirit Days. 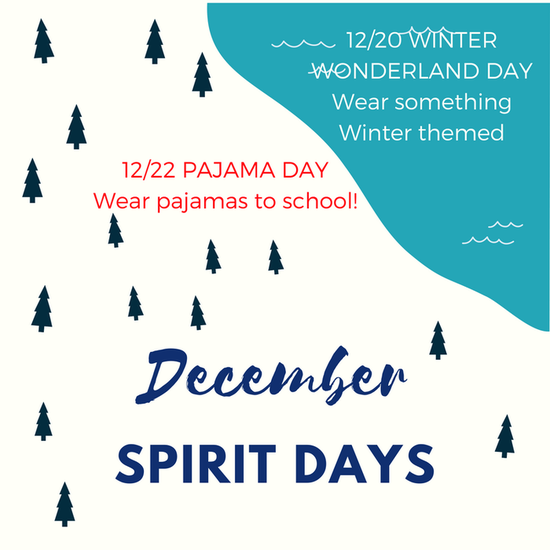 Below, you will find information about School Spirit Days in December. Our CCES Sock Sale has been extended through Friday, Dec. 15th. Unfortunately, our vendor requires a minimum order quantity and we are just shy. We will not be able to offer delivery of any Sock Sale orders before the holidays. 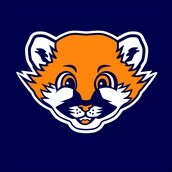 However, T-shirt and sweatshirt orders are in and will be delivered to students by this Friday. 4:30 p.m.-7:30 p.m. in the CCES Library. The Holiday Shoppe provides kids with the opportunity to purchase gifts for their family and friends that cost between $0.25 and $12.00 (CASH ONLY). Please note that the gifts are not specific to the holidays and can be given for any occasion like birthdays. www.SignUpGenius.com/go/10C094CA9AD2DA5FC1-cces1. Also, if you have spare wrapping or tissue paper that you no longer have a use for, please consider donating it to the Holiday Shoppe so our kids can spruce up their wrapping. If you have questions or suggestions, please contact Katy Petty at KPetty79@aol.com. Thanks in advance! This year we have organized several CCES community members to sell items for parents while the kids are shopping the Holiday Shoppe. Parents can browse the Vendor Showcase in the First and Third Grade Pods, which will feature jewelry, LulaRoe, baked goods, health and beauty items, personalized items, and Native American journals and beads. And there's no waiting in line this year -- students will be called into the Holiday Shoppe in the order they arrived, so everyone is free to wander and browse the Vendor Showcase while they wait. Parents -- come shop while your kids shop! This is for grown-ups, not kids. Did you sing in a choir in high school or college? Do you miss singing with other people in 4-part harmony? We are looking to find a group of singers who want to rehearse once before the holidays and perhaps go caroling around Clemens Crossing neighborhoods (or sing to residents of a nursing home or patients in the hospital). We will rehearse on Monday night, December 11 at 8:00 p.m. (most likely in the music room of CCES -- Mrs. Ritchie will be singing, too!) and "perform" on Friday evening, December 22. Please contact Karen Pang, nerakpang@gmail.com, if you are interested! This link contains community notices are neither sponsored nor endorsed by the Howard County Public School System.